Spread the word by changing your Facebook Cover to one of these! A young woman with disturbing dreams suddenly finds herself thrust into her nightmares. Struggling for her sanity and her life, she must overcome the demons inside her to break free and save the souls of those who remain to be alive.....but can she also manage to save herself? 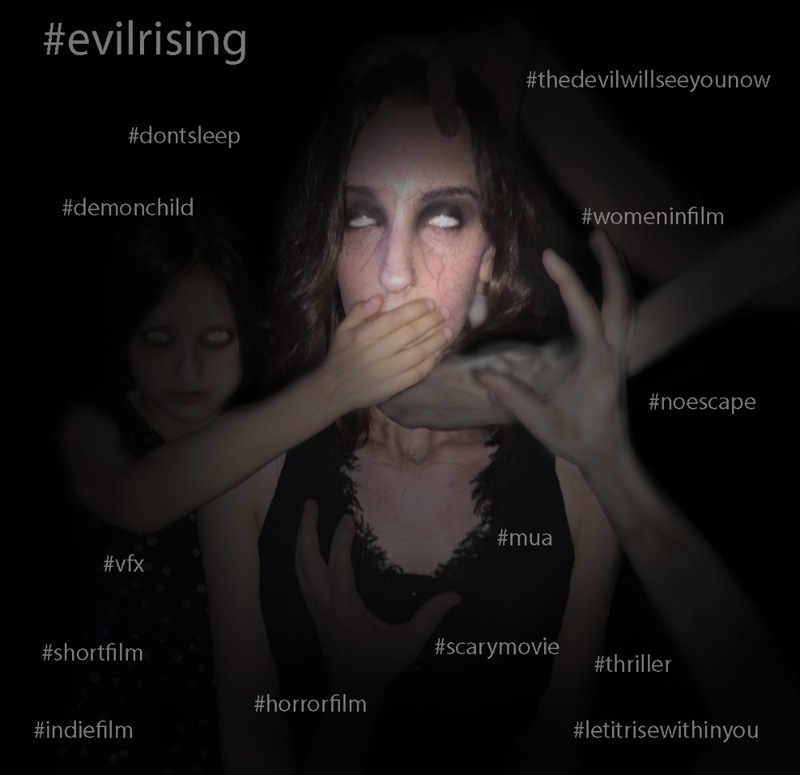 We are a group of artists and filmakers who are inspired by the power of the horror/psychological thriller genre to invoke a catharsis in our audiences. By melding together the worlds of nightmare and reality, we seek to capture your imagination and move you to explore your fears, confront your own demons... to delve into the unknown and unseen worlds swirling all around. :: Who or What we Are raising money for? We have an ambitious vision of technical, practical and visual effects and with the help of dedicated practitioners in the industry, inspire what can be accomplished with a small budget and minimal time span. :: How money will be used? We would love to use the extra money to pay our wonderful and dedicated actors. :: How soon do we need the funds? :: Why this means so much to us? 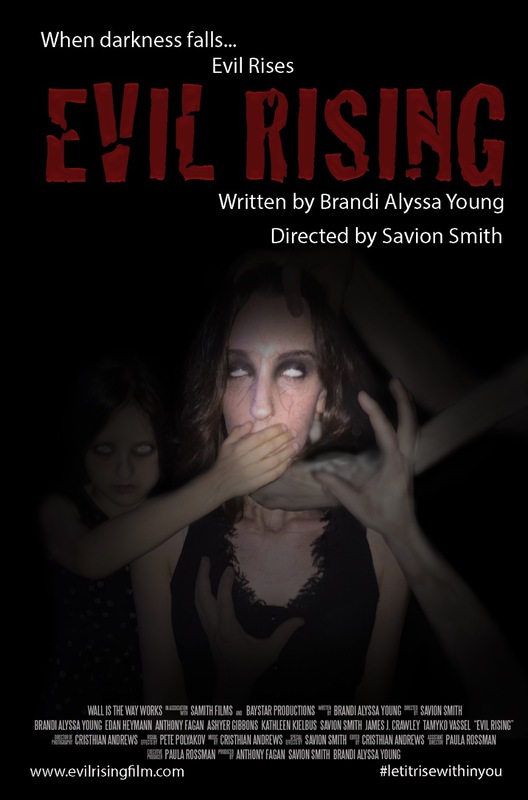 Brandi Alyssa Young, our writer and lead actress, first wrote the feature length version of this script when she was just FOURTEEN. She has been working on getting her “baby”, as she calls it, produced for FIVE years. This film, though now shortened, is a reflection of the feature length screenplay to which she has been unbelievably dedicated and hardworking. With YOUR help, you can make her years long DREAM, a REALITY . :: How thankful we will be? We are a part of The Actor’s Green Room, a community for giving back to struggling artists looking to network, hone and C.R.E.A.T.E. our own work. AGR has helped us manifest our visions and with your help, another loving community, you can help turn our vision into a success. Every donation counts and we are extremely grateful for anything you can contribute. If you cannot contribute, please share our page to friends, family, and horror film fanatics! ** Supporters prior to October 1st have been listed in the ending credits of the film. Our updated poster!! Check out all those wins and Official Selections so far! Many more to come this year. With all these festivals we are attending we need more money. Please support us by many a donation. Any amount will help. Next up, Berlin!! 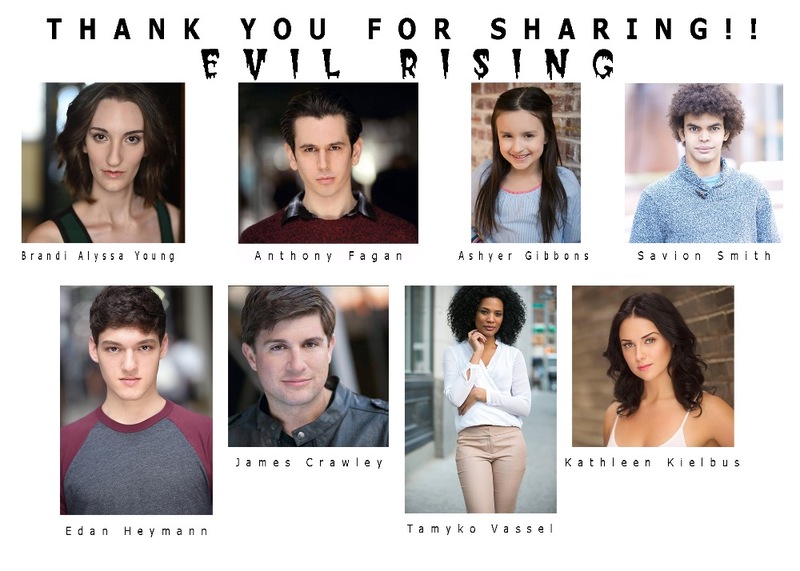 The Evil Rising team would like to wish every one of our supporters a very Merry Christmas and Happy first day of Hanukkah! SOME REALLY EXCITING UPDATES COMING NEXT MONTH! Savion, Anthony, Brandi, Tamyko, Jim, Kathleen, Ashyer and Edan. BIG UPDATE #1: Hey ER supporters! Here is a special treat. 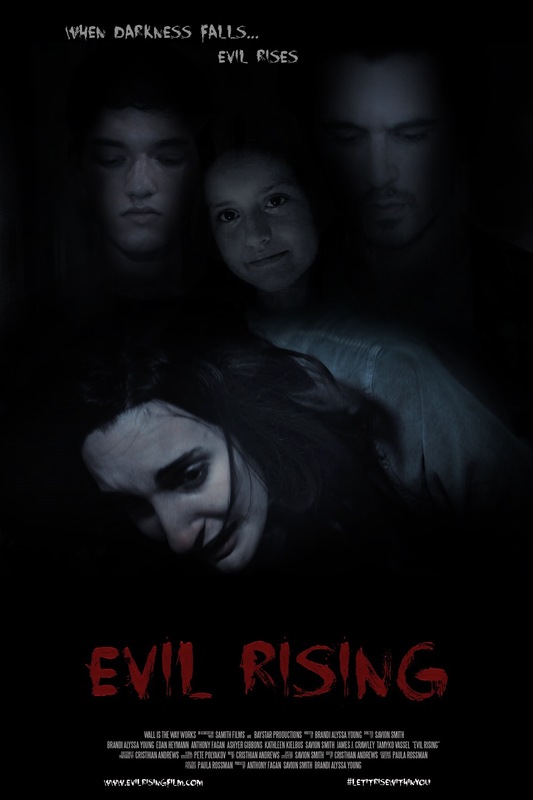 We have released into the wild the first Official 2017 Trailer for EVil Rising! Check it out here. Let us know what you think! UPDATE #2: This just in! 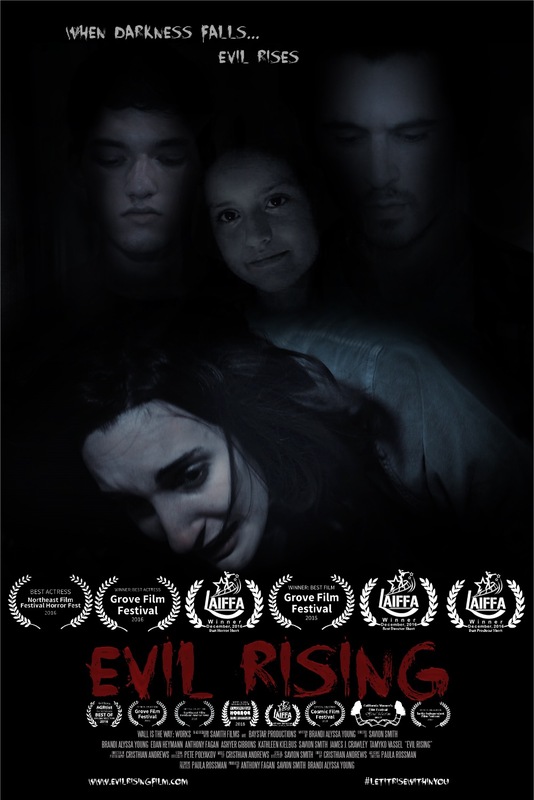 We have been accepted into the NorthEast Horror Film Festival. It it a privilege and honor to be accepted here because they only accept 10% of submissions (And they receive A LOT). Says something about the film, the work we put into it and where your money is going so far! UPDATE #3: We are raising our goal to $5,500 ($818 left!) to account for more festival submissions and the making of this trailer. Help us make this stretch goal! 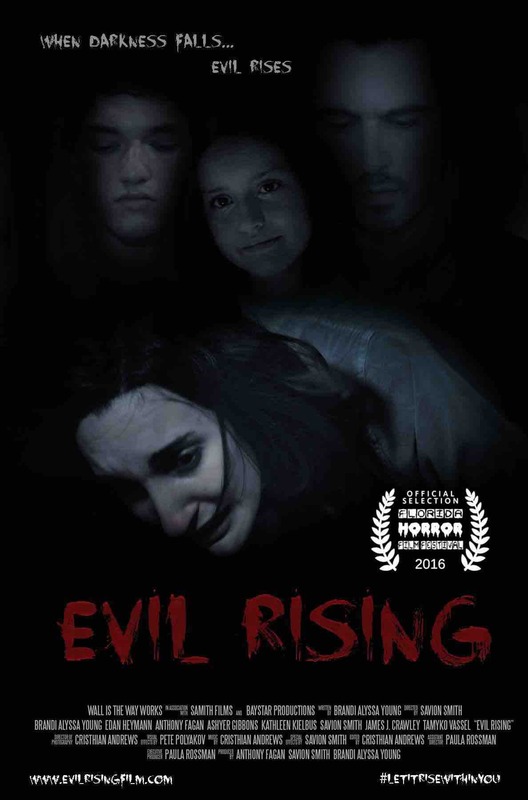 We made it in the official Florida Horror Film Festival!!! Thank YOU for your love and support for our film. More exciting news to come! - The Mortal - Signed digital poster from cast with special thank you! - The Mortal - The Marked One - Personalized video shout-out from our producers/actors! - The Mortal - The Marked One - The Apparition - Invitation to our private screening! AND a drink on us! - The Mortal - The Marked One - The Apparition - The Traveler - A script signed by the cast! - The Mortal - The Marked One - The Apparition - The Traveler - The Medium - A copy of the DVD of our film! Glad to be used as a vessel to help Evil Rising. Savion Smith I am so very proud of you. You have grown into one amazing individual!! You guys rock!!! Enjoy the horror and the pleasure! !